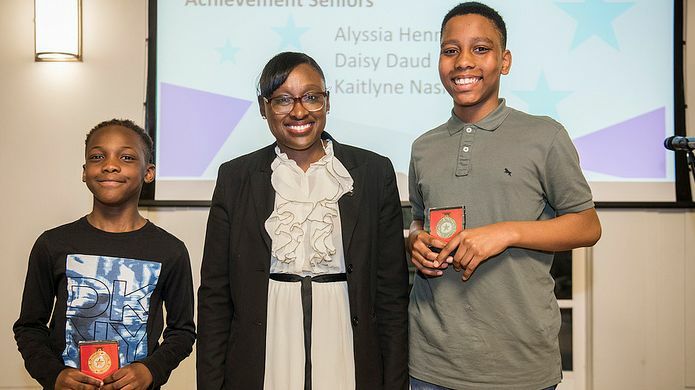 Over 200 young people and their families attended the third annual Hackney Youth Awards, which celebrated young people from across the borough at a ceremony in Hackney Town Hall, on Wednesday 20 March! 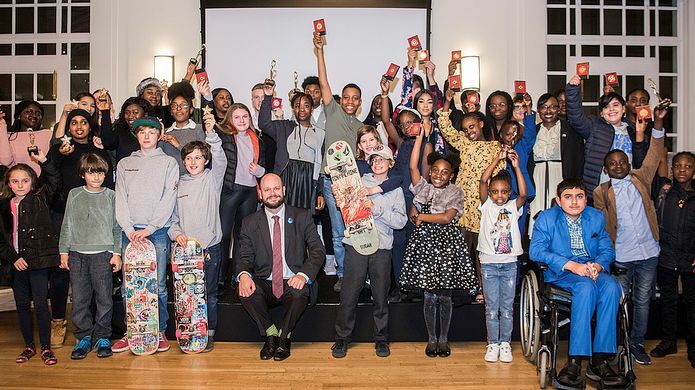 More than 50 young people were nominated for the awards, with nominations made by youth workers and other professionals working with them. 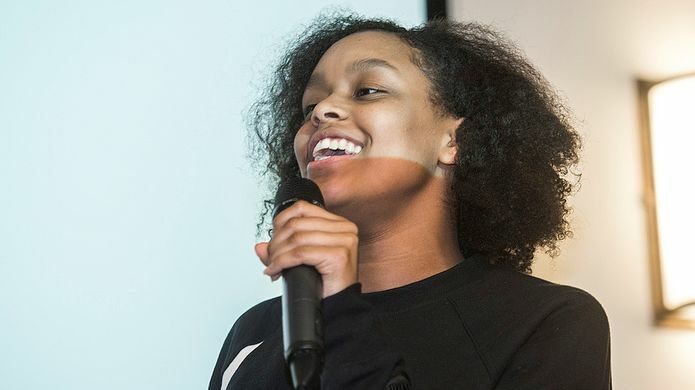 The nominations were reviewed by an independent panel of young people, who also helped organise the event alongside Young Hackney staff and 10 young volunteers. 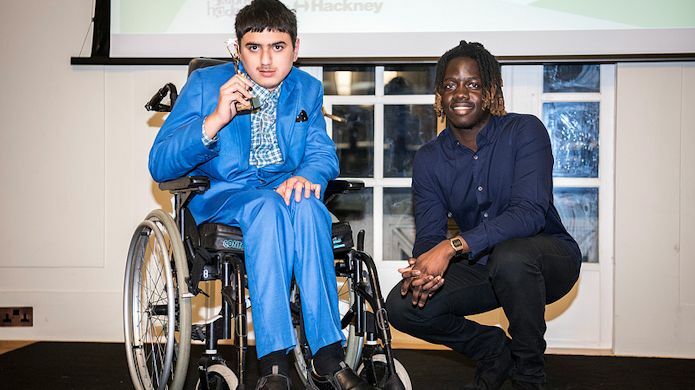 The event was hosted by Hackney’s very own Young Speakers Beverley Tetteh and Abullahi Yussuf ! 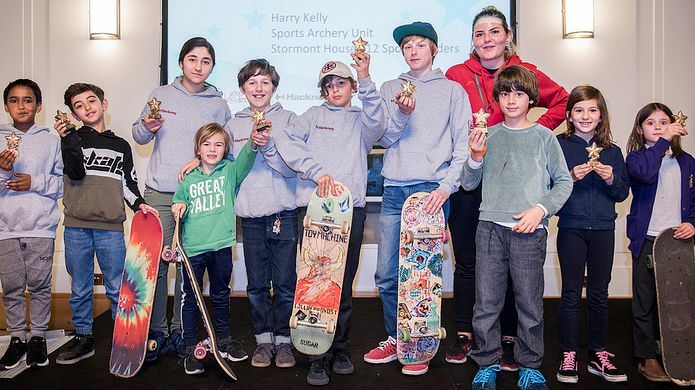 There were 15 winners overall with categories ranging from Arts & Culture and Sports to Young Adventurer and Overcoming Adversity. Over the night, the audience heard some truly inspirational stories alongside four performances which included a beautifully arranged song from Hackney Borough Music Choir, an incredible duet from dancers Jordan & Djamilla, an uplifting poem performed by Faith Buffong, from Concorde Youth Hub and an amazing performance from singer-songwriter from Hackney Nina Hudson.